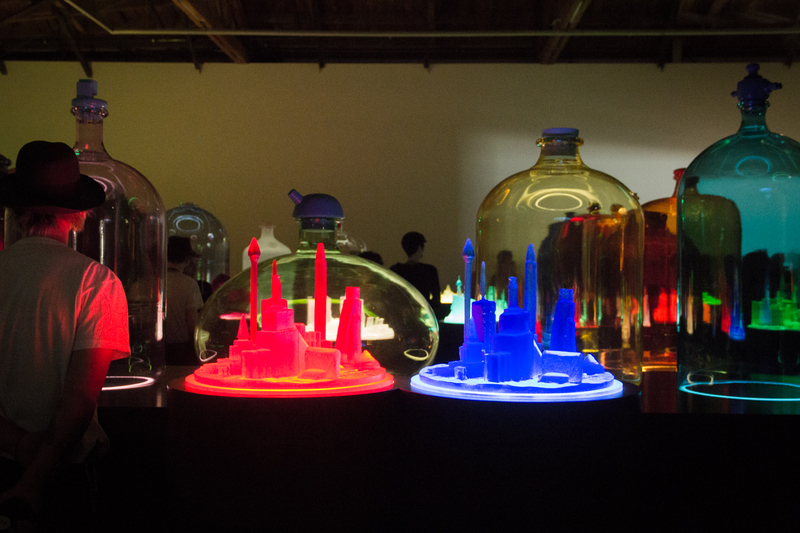 Opening October 21 at Hauser & Wirth Los Angeles is Mike Kelley: Kandors 1999 – 2011, a technically complex and visually opulent exhibition showcasing the late artist’s eternally recurrent depth of imagination. Hauser & Wirth’s cavernous, enthralling gallery spaces brilliantly showcase Kelley’s artistic explosion of disciplinary boundaries. The extensive exhibition—the late artist’s first in his home city of Los Angeles—offers up complex sculptural installations, video narratives, drawings, blown glass, and even a lenticular series. Kelley’s personal experiences feed into concepts of community and collective consciousness; each being analyzed, rendered, and distorted. 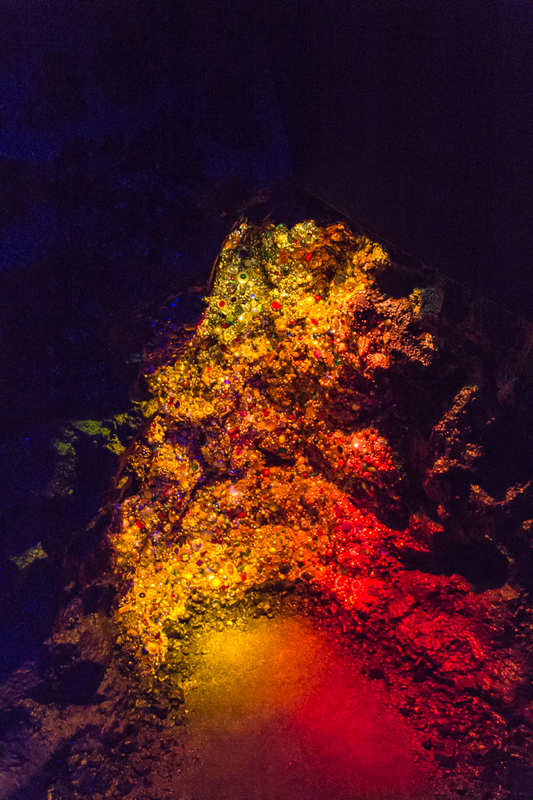 The results are meditations on the illusive nature of memories, existential pessimism, and unrelenting imagination. Kelley’s work is voracious and intelligent, expertly taking from disparate cultural references like Superman and Plath and Freud and various aestheticism movements of England to create its very own universe. Upon entry, watch a video of the Man of Steel reciting Sylvia Plath’s The Bell Jar then continue on to experience two-dimensional comic-book renderings as three-dimensional sculptures that eerily illuminate the darkness and you’ll begin to get a sense of the polymath abilities of their creator. 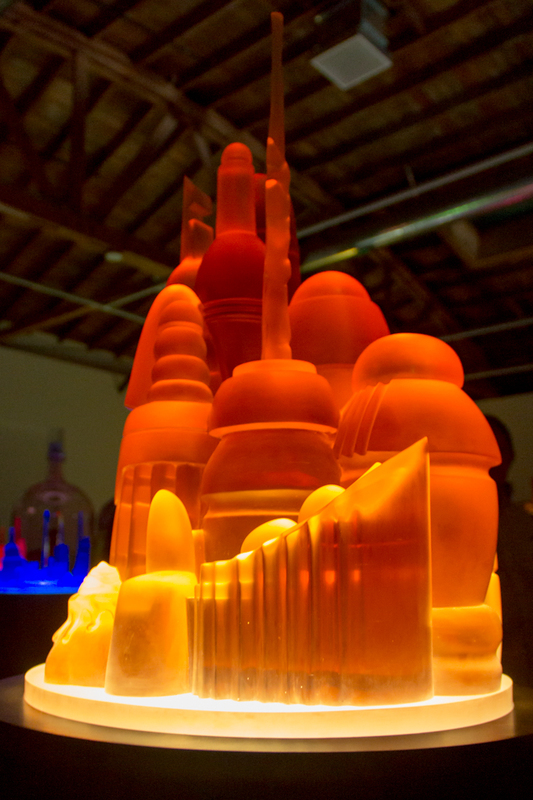 Mike Kelley: Kandors 1999 – 2011 is something special that quite remarkably shows off Kelley’s continued influence, monumental impact, and the breadth of work that’s become his lasting legacy.